Some of our fellow Overseas Filipino Workers (OFWs) have expressed their disappointment in their experience with an overseas absentee voting. According to some OFWs in Hong Kong, PCOS machines are not working and this machine suppose to read the votes. According to some OFWs in London, they are not the one who put their ballots on the machine, because their ballots are submitted to the embassy. 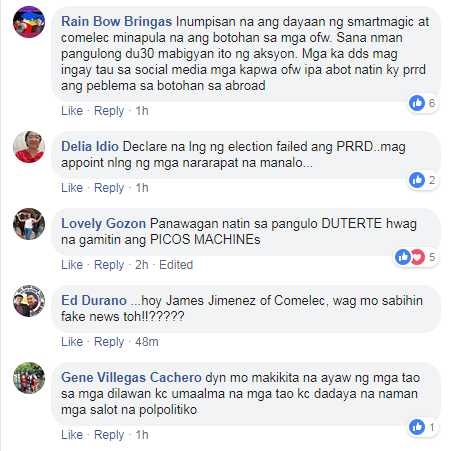 “Pangulong Duterte sana makarating sa inyo ang mga concerns ng mga tao. Kasi we are not in this election for nothing. We want change and we want to continue with the changes na na-lay niyo. 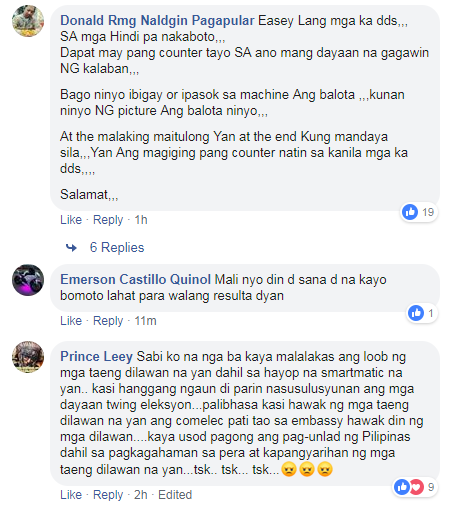 Paano kung ang smartmatic at COMELEC ay nagkaroon ng pandaraya. Hindi maalis sa amin ang ganyang isipin, “ said one of the OFW in London. Like the complaints of some OFWs in London, the OFWs in Italy are also complaining the same issue. According to them, there is no machine in the place where they voted. “Ito po ay amoy dayaan na. Kung baga kung malamig, amoy pasko daw. Ito na amoy dayaan na. Fill-up ng balota pero ibang tao ang mapapasok sa machine. 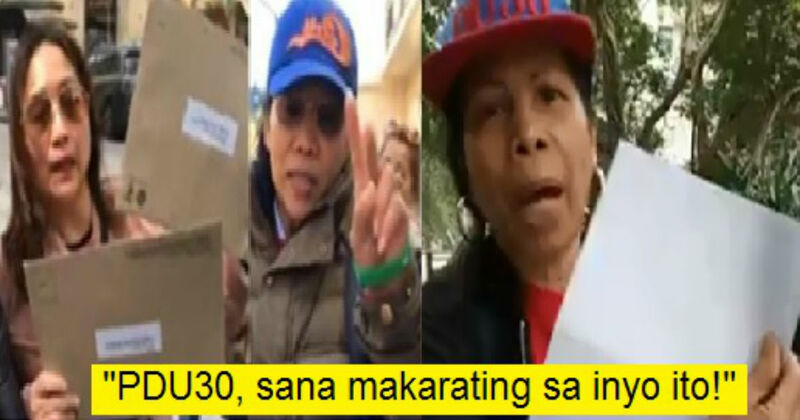 Ilang porsyento ba ang ating kasiguraduhan na ipapasok nila, “ express the OFW in Italy.